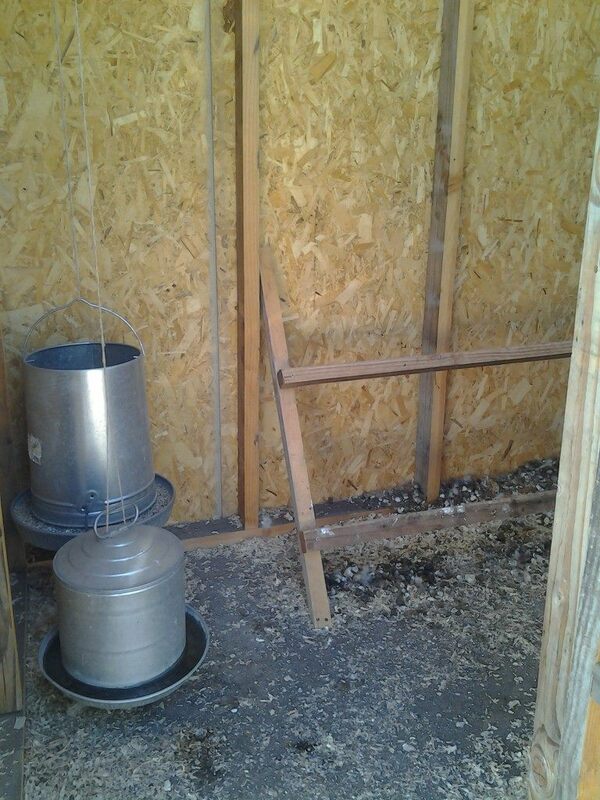 So peek with me the amenities of our little ladies. 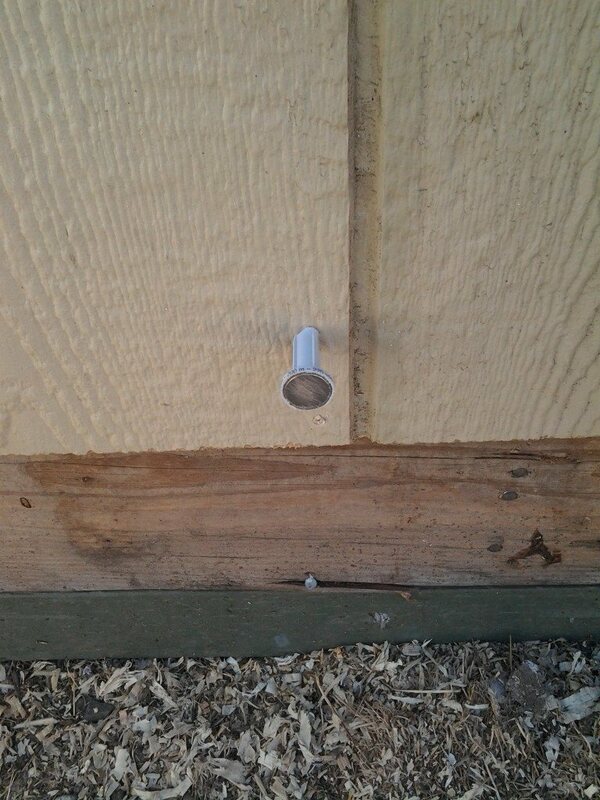 This outside front of the coop. What you see is not all there is. 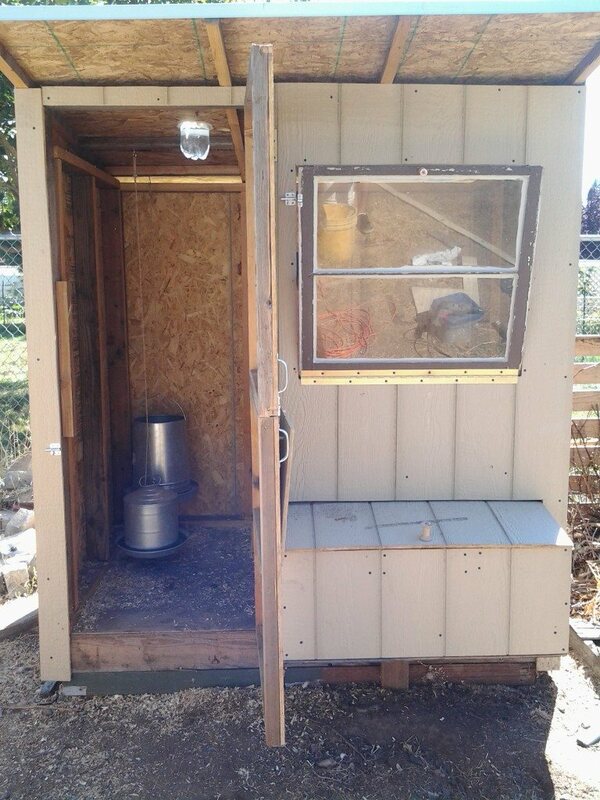 With the help of our uncle we were able to make this out of 100% recycled lumber(he has a plainer). Lumber from our deck tear down. The shell is the only new, walls have to be good. 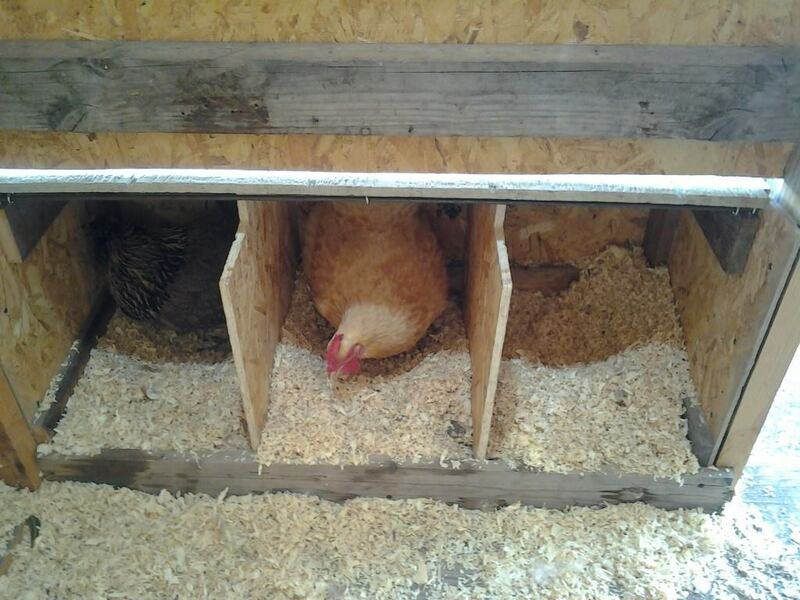 The nesting box has three compartments, our chickens like a double up snuggle, we have six chicks. 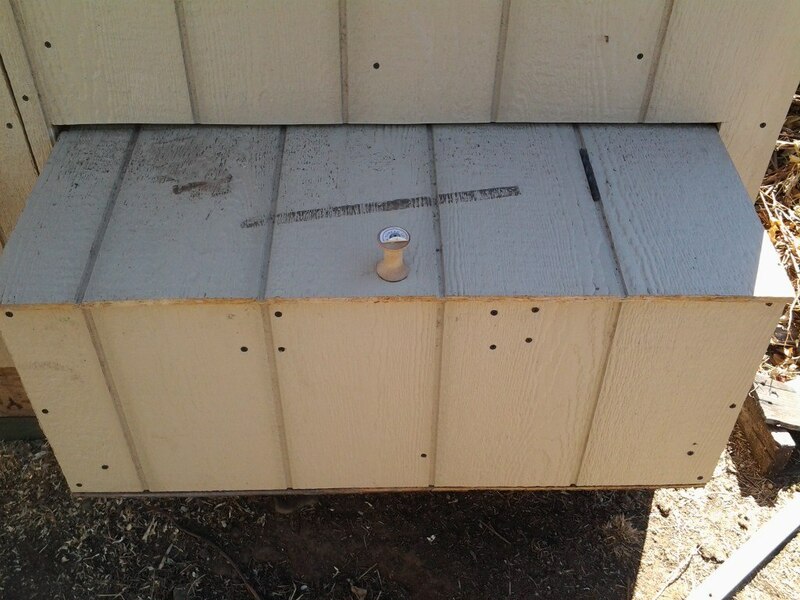 The nesting boxes sit out from the main house with a door for our egg gathering. 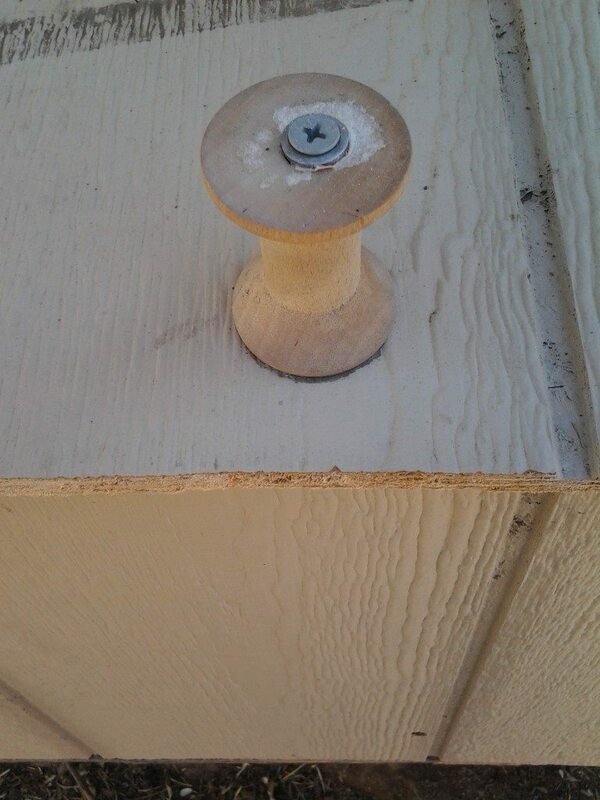 Note the old school wood thread spool as the handle. That theme occurs often, I craft and stuff. 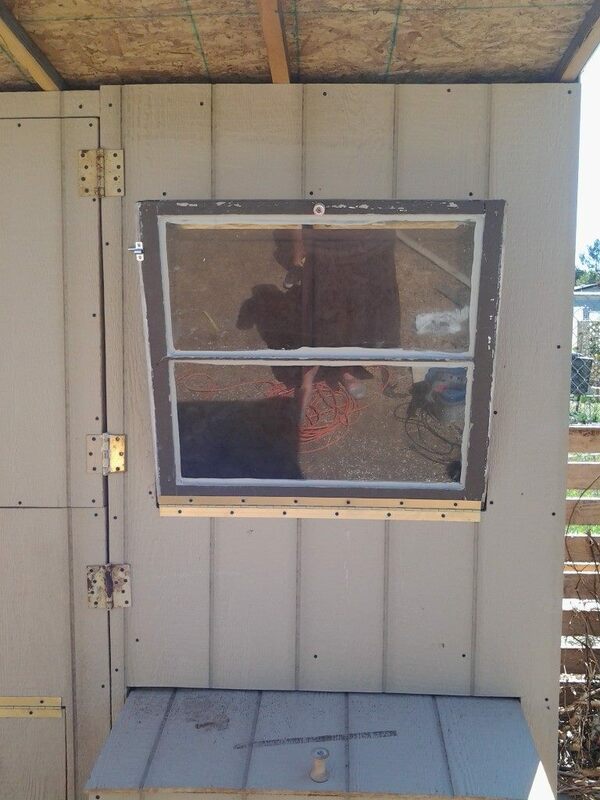 Moving onto the window which was provided by some friends who were tossing windows out from a remodel, our friends rock and we rocked the panes. This too opens with a spool. 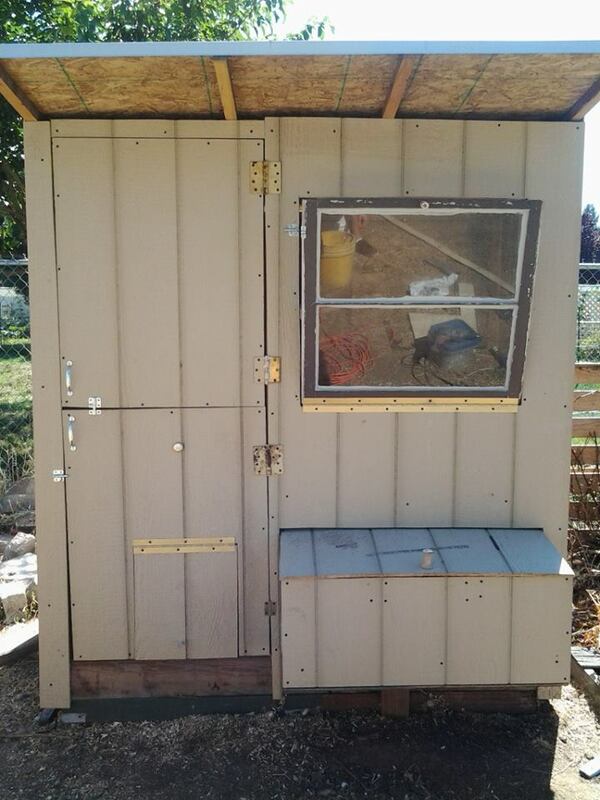 We have dutch doors, both top and bottom or top or bottom. 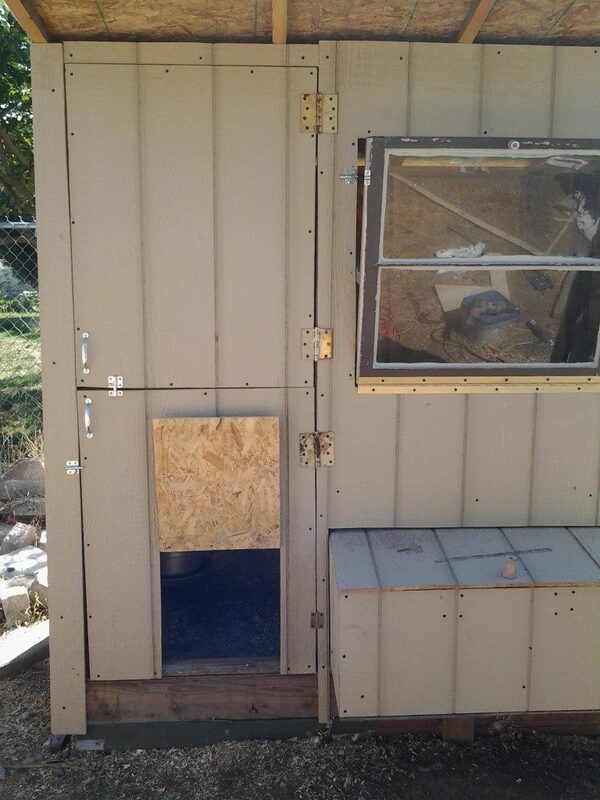 Bonus chicken sized door we used a magnet and disc to hold open. Close up reveals dissected spool. 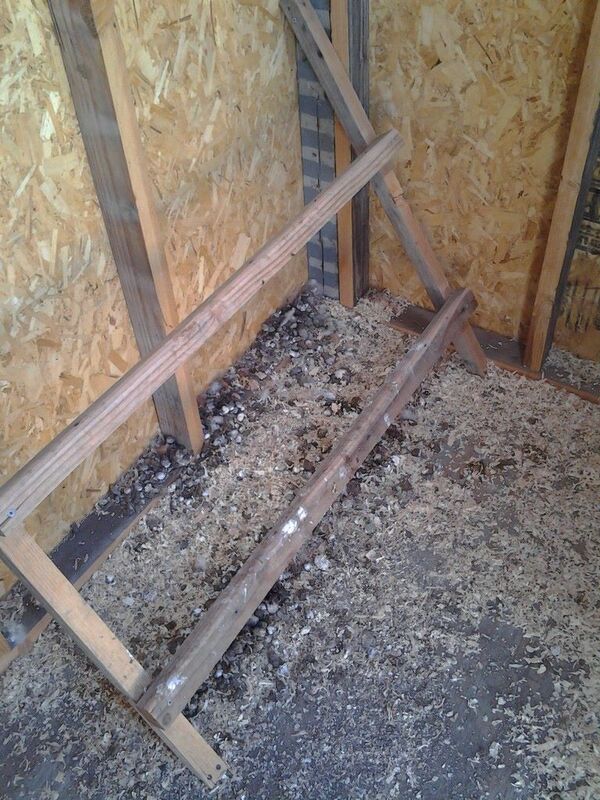 Moving in there is the bathroom as they indiscriminately crap everywhere, their dining area, lounge / roosting space and then the nesting boxes which Floyd because she’s a from the “dark side” chicks. If you know me you get it, and Ginger modeling their new home. If you look upward … what’s that? 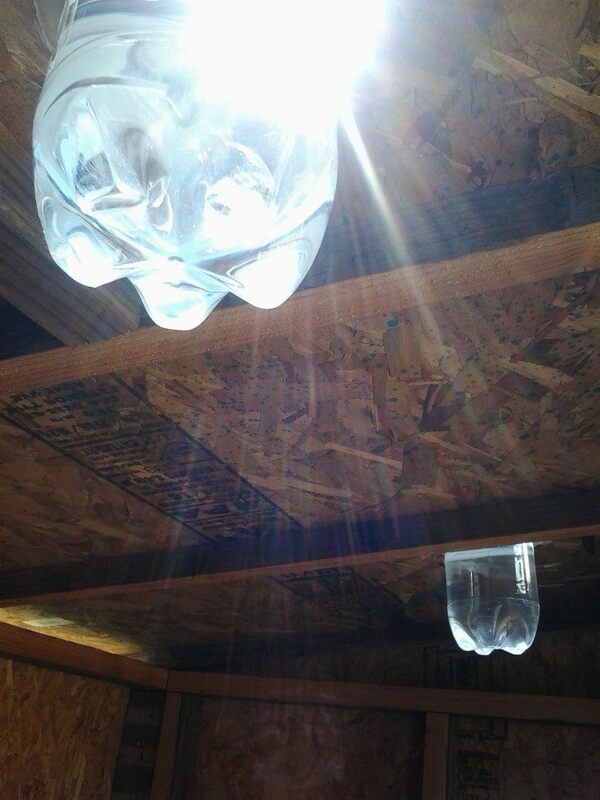 Sky lights? Out of 2 liters? Mmhmm filled with a light splash of bleach and water for reflection and the girls have light! Building them a heat source soon out of aluminum soda cans. Stay tuned. 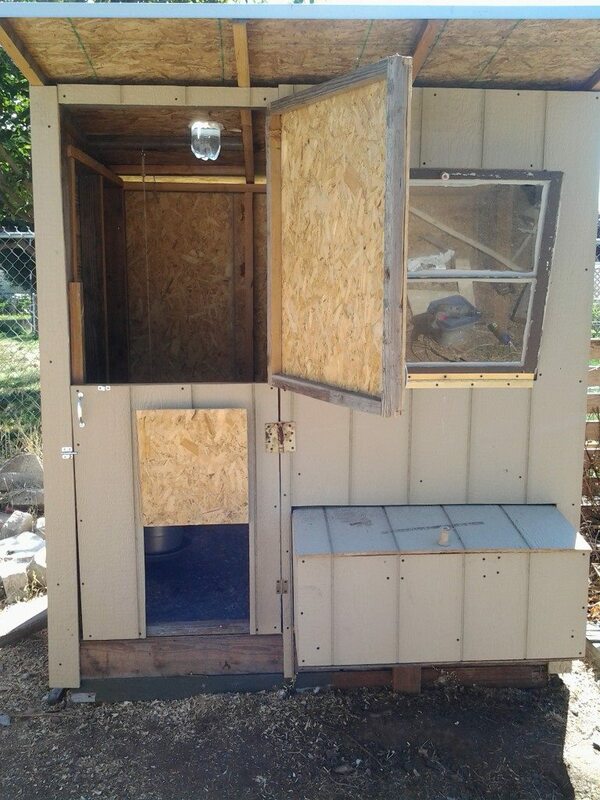 This isn’t a tutorial on how to build the coop, there is thousands of builder sites that offer plans. I wanted to share that this is almost entirely out of recycled or upcycled things. Thinking outside the box is fun. This takes a bit more planning especially if you don’t have the items. So scavenging for them is part of the fun.